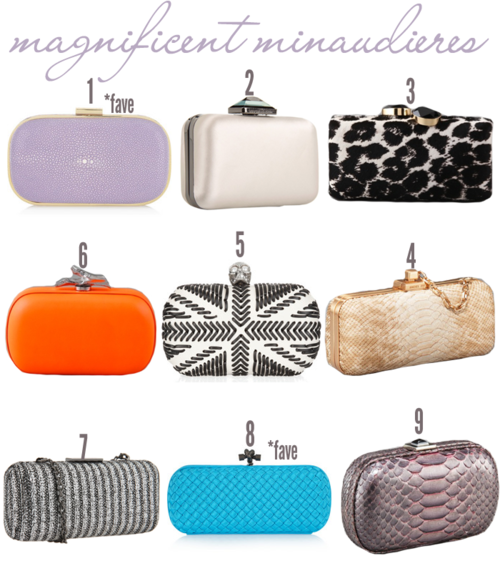 This year’s must-have clutch is the minaudiere. Slim, with a hard casing and signature top clasp, it grabs the attention of everyone around you. Since it only has room for your keys, phone and credit cards, it’s best saved for cocktail or black tie attire.